On the subject of school projects. . .
Here’s another old(ish) school project, this time for English. 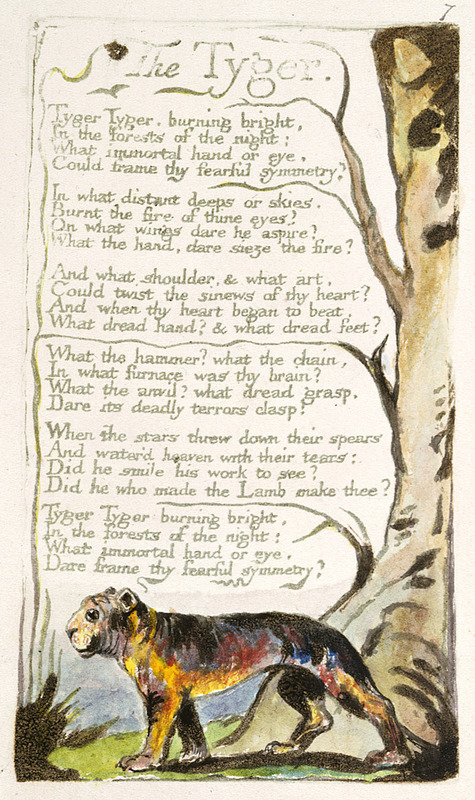 It’s a poster for William Blake’s The Tyger. Well, actually this is just the drawing I did for it; none of these pictures are of the finished poster which includes a bunch of analysis and the actual poem.